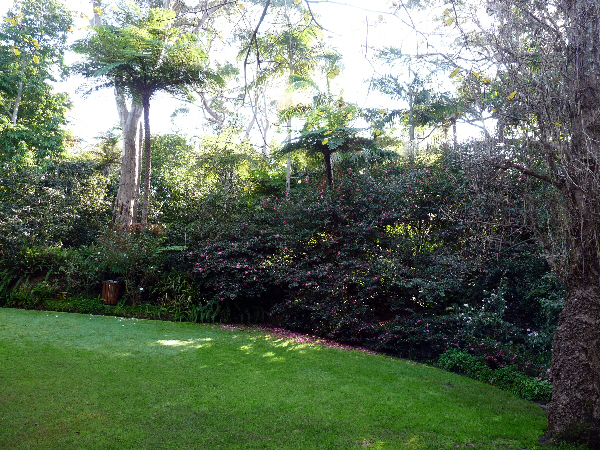 Adjacent to Yowie Bay on Sydney’s beautiful Port Hacking River, the E. G. Waterhouse National Camellia Gardens, owned and managed by Sutherland Shire Council, has become increasingly recognised as a recreational oasis as well as for its horticultural beauty. Opened in July 1970 as a Captain Cook Bicentenary Project, it also contains a national collection of camellias and was named after Professor Eban Gowrie Waterhouse, one of the key founders of the International Camellia Society. The Gardens is just over two hectares, and is bisected by Kareena Creek. Over the years, it has become a haven for many Australian birds and other wildlife. Watching these birds feeding on the nectar of camellia blossoms is a charming sight. Originally established thanks to the commitment of a retired joinery manufacturer, the late Eric Utick, it has been supported by volunteers from St George and Sutherland Camellia Society for over forty-five years. 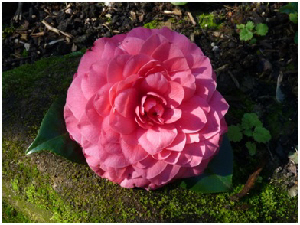 The Gardens has well over 600 camellias, including over 450 individual cultivars and species. This collection is being enhanced by rare camellias being conserved for Australia under the Camellia Ark project (initiated by the Gardens in 2009). Plantings are in the context of Garden beds over a widely varying terrain, including gullies and rock ledges. While camellia specimens in the collection are fixed with durable anodised aluminium labels, the nature of the terrain means that not all specimens can be examined at close range. For this reason, an on-line tour of the camellia collection of the Gardens has been launched on the Camellias Australia website, see links below. 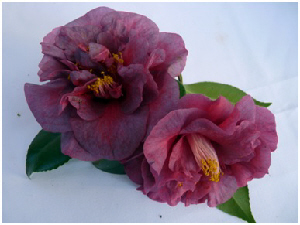 This on-line resource enables detailed examination of the camellia cultivars and species, their blooms and horticultural background, while serving as a register of the Garden’s camellia collection. The collection includes a number of Professor Waterhouse’s own cultivars and rare Australian varieties. In addition, a wide range of camellias from across the world are represented, thanks to the donation of a major collection by the late Walter Hazlewood, a Sydney nursery grower. Camellia sasanqua cultivars grow well in this coastal environment. Corner President Avenue and Kareena Road, Caringbah, Sydney, New South Wales, Australia, (in Sutherland Shire, southern Sydney outskirts).